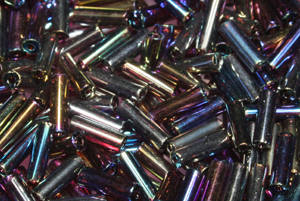 Below is the full colour range of bugle beads with the sizes of each colour available on the right of the colour. 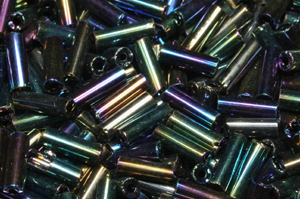 Over 70 colours below. 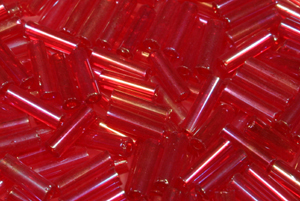 (see bottom of page for symbol/abbreviation explanations). 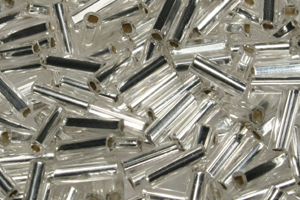 When ordering or enquiring please quote the item number (& size) which is to the right of the bead. 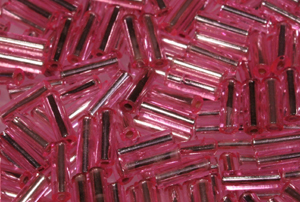 Image Colour Sizes & Item no. 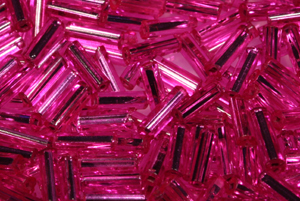 Image Colour Sizes & Item no. 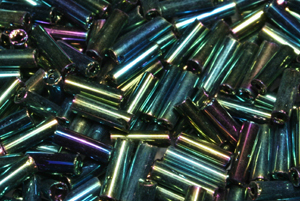 All colours are generally colourfast (unless marked with a *). 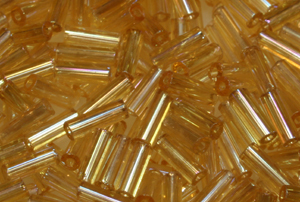 Note : * denotes non-colourfast (which means these colours with this symbol are dyed on the outside of the glass bugle beads or in the lining of the centre of the bugle bead and the dye can come off as a result of such reasons as rubbing or washing or perspiration due to the acid in perspiration). 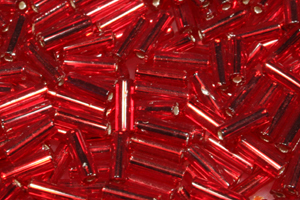 Many of our customers still take these colours, however many also change to one of the other colour-fast colours. 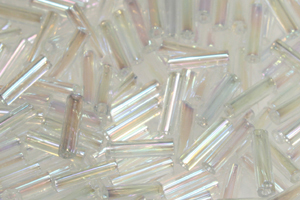 Phone us for more details on (02)92671428. 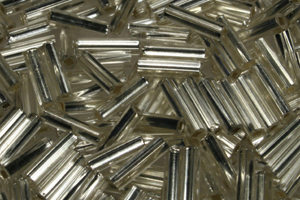 Note : s/l means the centre of the bead (not the outside of the bead) is lined with a silver lining : this assists with maximising the reflection of the bead. 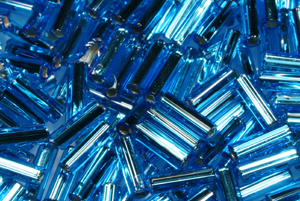 Important : The colours of the images above will appear different on every computer screen, so variations can occur from the colours above to the actual bugle bead colours. 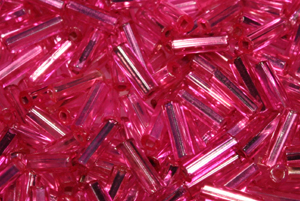 We are generally happy to send you a colour sample of one or two colours before you order them at no cost (please phone us for samples). 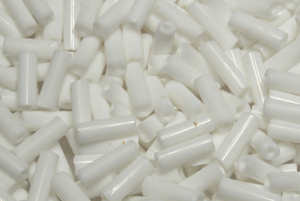 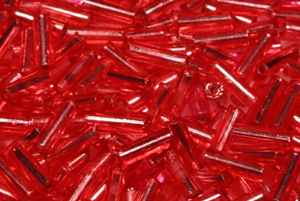 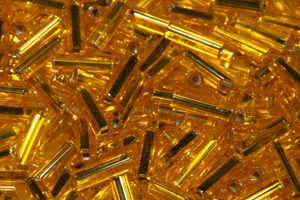 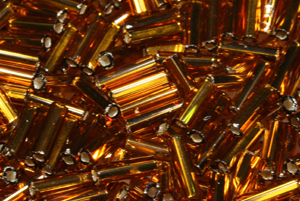 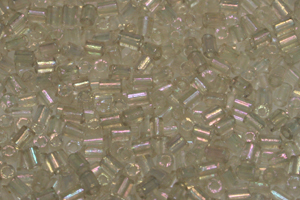 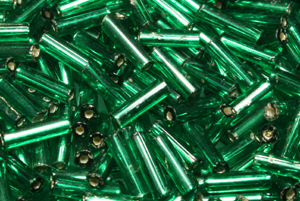 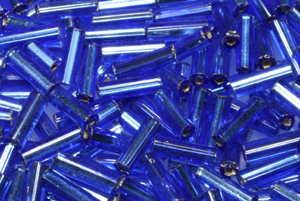 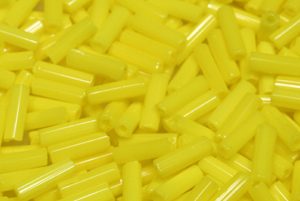 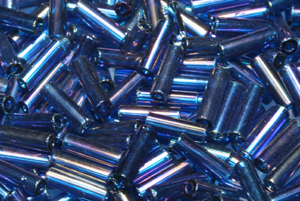 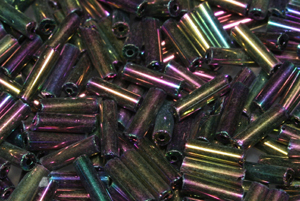 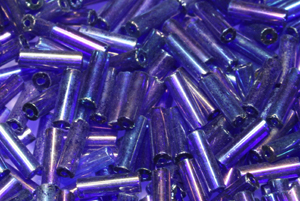 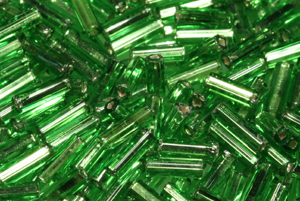 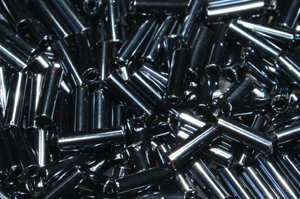 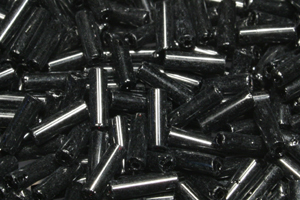 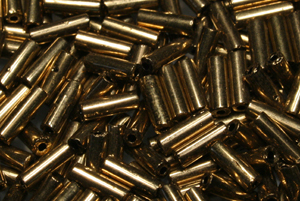 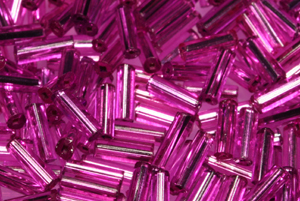 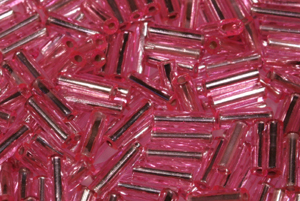 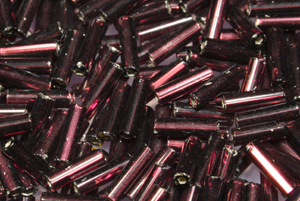 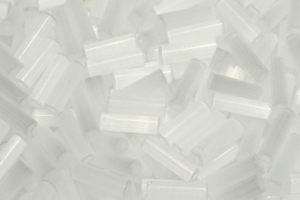 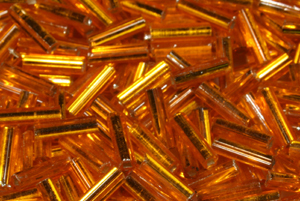 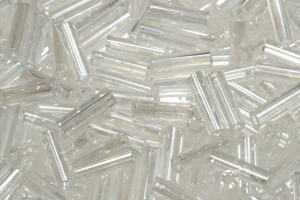 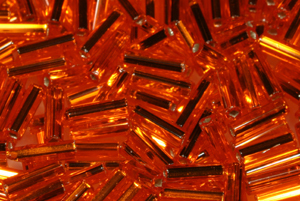 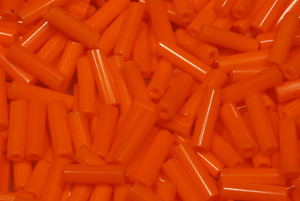 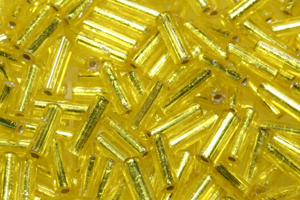 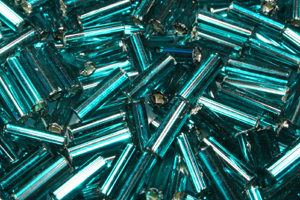 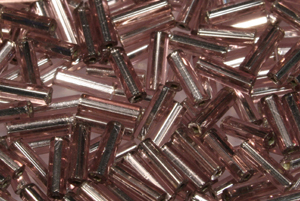 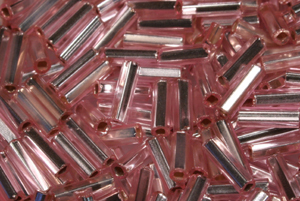 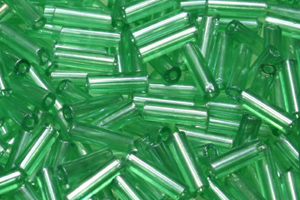 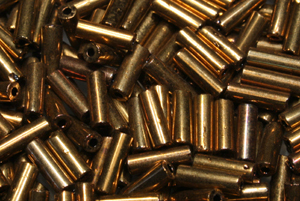 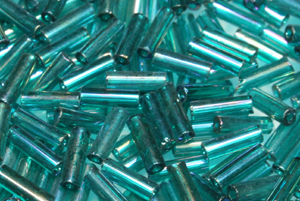 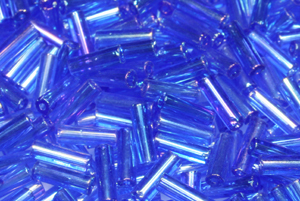 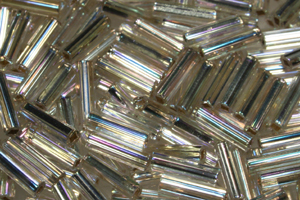 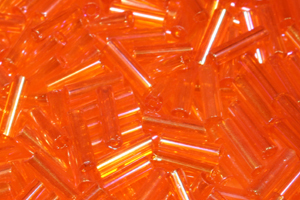 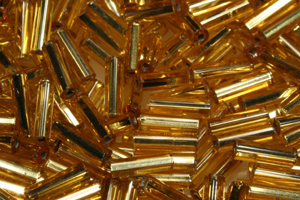 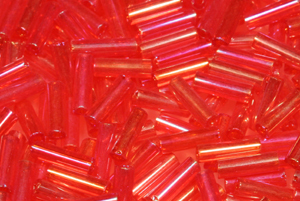 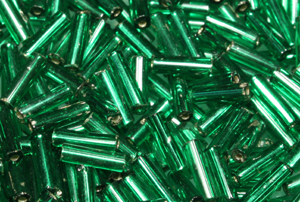 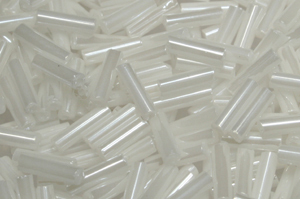 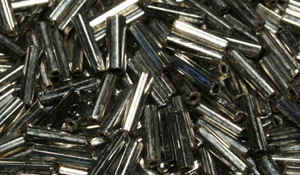 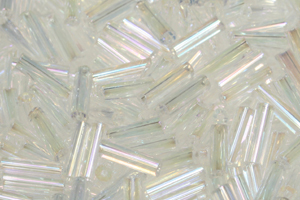 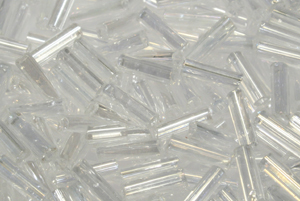 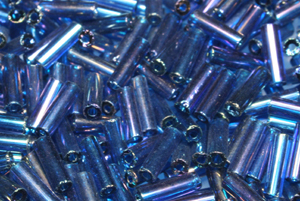 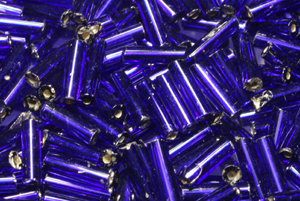 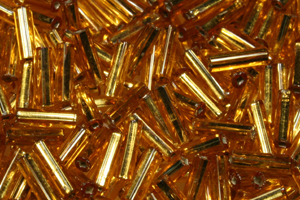 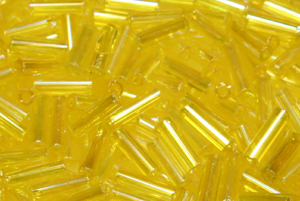 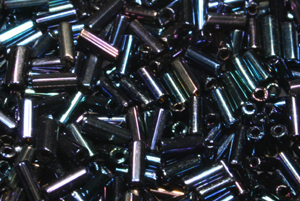 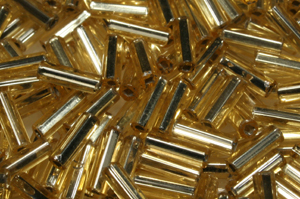 ALL SIZED BUGLE BEAD BEADS ABOVE ARE SOLD IN : 60 gram bags or 1 kilo bags.